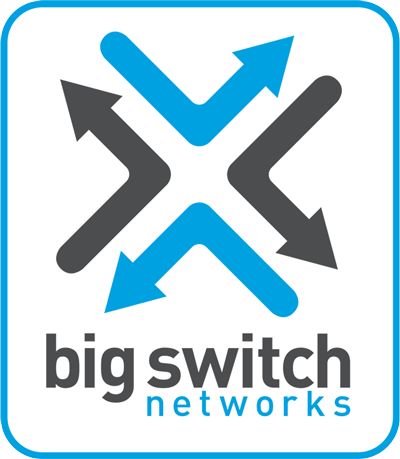 Who are Big Switch Networks? Big Switch’s mission is to disrupt the status quo of networking with order of magnitude improvements in network intelligence, agility, and flexibility by delivering Next-Generation Data Center Networking. Their products enable data center transformation and accelerate business velocity by delivering a responsive, automated, and programmable software-defined networking (SDN) fabric-based solution. Traditionally, the network has been viewed as the barrier to data center transformation as legacy networking architectures hinder IT organizations with brittle, complex and cumbersome switch-by-switch management paradigms and inflexible, proprietary hardware choices that are increasingly unable to keep up with the pace required of businesses today. Big Cloud Fabric™ is the next-generation data center switching fabric delivering operational velocity, network automation and visibility for software-defined data centers and cloud-native applications, while staying within flat IT budgets. Using hyperscale-inspired networking principles, software controls and leaf/spine CLOS fabric delivered on open networking hardware, Big Cloud Fabric leverages software-defined networking (SDN) to make networks intelligent, agile and flexible. Big Monitoring Fabric enables pervasive security and monitoring of network traffic for an organization and selectively delivers it to multiple security, monitoring, performance measurement and compliance tools—both Inline and Out-of-Band. Leveraging an Open Ethernet switch fabric and an SDN controller, Big Monitoring Fabric is a highly scalable and cost-effective network visibility solution. Edge-Core are the largest single contributor to the Open Compute Project. With a R&D team of over 600 engineers, and port configurations to suit any combination of requirements. Big Switch Networks software is designed and tested to run on a range of Edge-Core bare metal switches, ranging from 10Gbe to 100Gbe. If you'd like to learn more about the Edge-Core, follow this link. At Newgen Systems, we specialise in how to bring the benefits of Open Networking and DevOps methodologies to enterprise and government. If you would like to hear more then please leave your details and one of our experienced Solution Architects will be in touch.